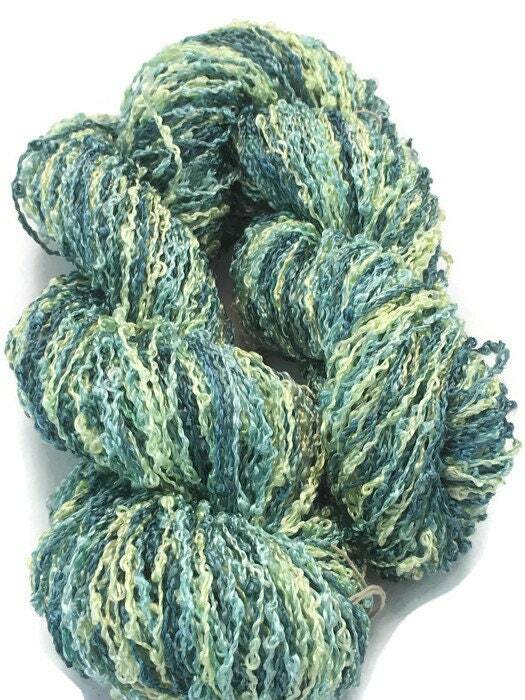 This hand-dyed sport weight yarn is a rayon boucle. 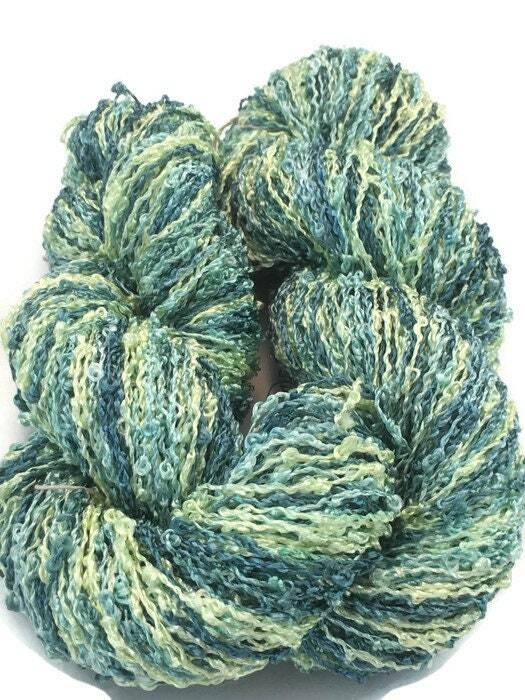 The colors are pale to medium yellow, light green, light blue, and dark blue-green. 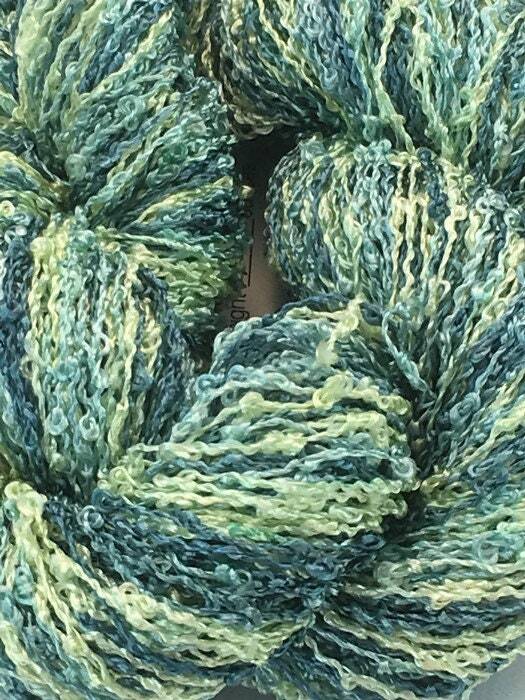 This yarn has some shimmer. 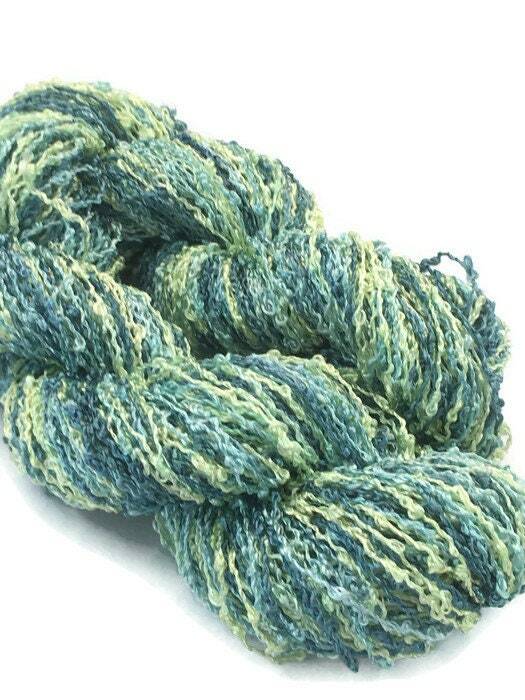 Each skein is 200 yards and weighs approximately 1.9 ounces. 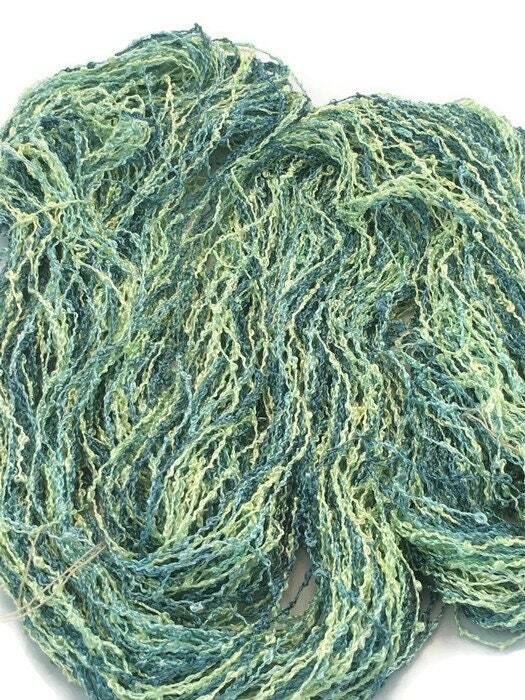 This is a sport weight yarn that wraps at 18 wraps per inch.